The risk of colon cancer, breast cancer, and other malignancies appears to rise in populations at latitudes far from the equator. In 2005, a 13-year Harvard study of 2,399 men reported that those with high blood levels of both forms of vitamin D — 25(OH)D and 1,25(OH)2D — enjoyed a 45% lower risk of developing aggressive prostate cancer than those with below-average levels. And certain genetic variations in the vitamin D receptor appeared to enhance the protective effect of the vitamin. Vitamin D deficiency responsible for Racial disparity in Death from Colorectal Cancer. Precisely, how is your vitamin D level? This is not the kind of question one expects in a casual conversation among friends let alone acquaintances. What is commonly talked about in a conversation about health awareness is the weight and in some instances cholesterol; yet prolonged and untreated vitamin D deficiency can affect multiple organs and functions, including bone growth and density, metabolism, heart and immunity, but it rarely causes overt symptoms and often goes unnoticed, therefore should be on every parent’s and pediatrician’s radar, physicians from the Johns Hopkins Children’s Center – say. Health awareness in USA took on a new turn starting in the 1980s. A Sales person came up with an idea that putting a bottle of water with nothing in it except H2O next to a soda bottle, that normal people would stretch their hands and reach out and get it, then turn around and go to the check out counter and pay for it when they had already paid a water bill at home; gone bananas, so we all thought of him/her. But the real revolution did not take off until the late 1980s when a character in his own class by the name Richard Simmons took to the stage! He stretched while rhythmically dancing to some music at the same time talking to his audience behind him with encourangments non-stop who were religiously following every move he made with smiles. It was fun and entertaining, with his skimpy short pants and ever jolly mood, Richard Simmons became the talk of the town with women buying his recorded exercise VHS Cassettes (the high tech of those days) and replaying them any time at home after work. You could not ignore what was happening, it was right there in your face where ever you turned, USA was in for a good health awakening! 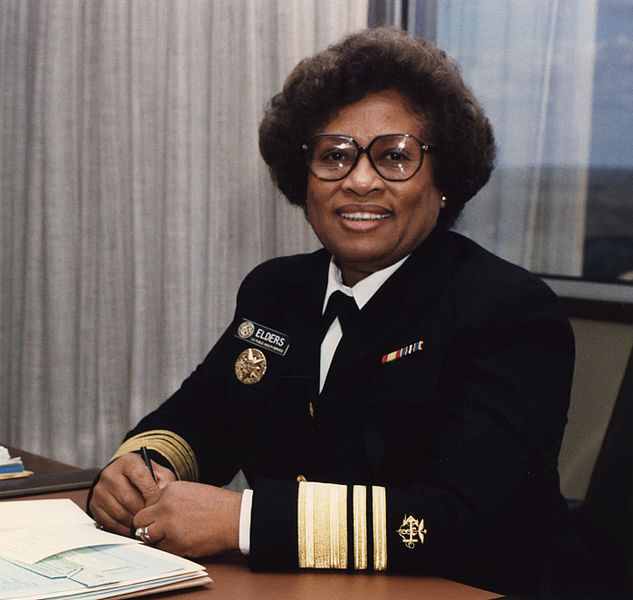 The media pushed it, and in January 1993 president Bill Clinton (referred to as the first African American president by some) did his part as well by electing Minnie Joycelyn Elders United States Surgeon General, making her the first African American woman to hold the position. And that Sistar (not sister) does not mince words, she called a spade a spade and did her part too well to survive Washington politics; I love her! Okay, let us come back to the present. Now carrying a bottled water is considered normal, and every store that has any soft drink carries water as well and more, if you know what I mean. Yes, there has been some improvements, however, the unfortunate truth is that with all that work and new technological advancement in the medical field, narrowing the gap between the health of whites and that of the blacks remains elusive. The Dilemma still remains the same after all these years! Statistics are for 2000-2004, age-adjusted to the 2000 U.S. standard million population, and represent the number of new cases of invasive cancer and deaths per year per 100,000 men and women. Everyone seems to agree that vitamin D is important throughout life. This i scertainly as true in the first year of life as it is later on. For it is during the first year that, in addition to its role in calcium metabolism, this critical nutrient reduces boththe risk of current infections and the late-life development of such autoimmune diseases as multiple sclerosis and type 1 diabetes. Note: If you find this information beneficial, don’t seat on it, be your brother’s keeper, PASS IT ON. What’s a Vitamin D Deficiency? 97% Knowledge about Vitamin D has been learned in the last 15 years. Samuel Clemens (African American) talks with his doctor, Douglass Bibuld, about vitamin D at a check up at Mattapan Community Heatlh Center in Boston. – Credits to Living on Earth and Ashley Hearn for reporting. -Does Vitamin D Deficiency Cause Hypertension? Evidence from clinical and epidemiological studies support a possible relationship between low vitamin D level and hypertension, and there are some plausible biological mechanisms as well. Who is at a Higher Risk of Vitamin D Deficiency, Where and When? Besides health issues – The darker your skin is, the less Vitamin D you get from the sun because darker skin synthesizes less vitamin D from sun exposure than lighter skin. (In other words – Non White). The farther from the equator, north or south you are, the more deficient you get. Fall & Winter, but most deficient in Winter Season. Estimate: Up to 90% of African Americans could be Vitamin D insufficient all year round. From the studies and medical research, it is clear that this Vitamin is crucial to our health, yet it is not being shared proportionally. The darker your skin is the less Vitamin D you get from the Sun, therefore one standardized supplement of vitamin D level added to milk can not suffice equally for both light and dark skinned people for all seasons. Had it been wages, we would be looking at the Civil Rights Movements like you have never seen before every where in USA and Europe, especially considering the fundamental role vitamin D plays in disease and health. 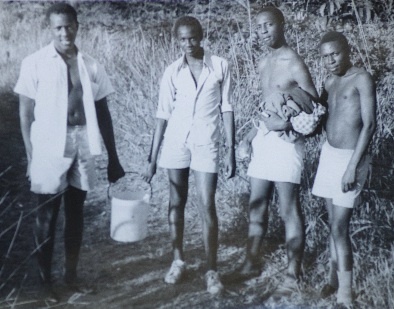 With people of African descent (blacks) in USA likely to suffer and die at about twice the rate of Caucasians from complications related to Kidney Disease, Hypertension, Type 2 diabetes, Eye Disease, Coronary artery diseases, therefore, isn’t it logical that an explanation to such a huge disparity between these two Homosapien races living in the same environment has to be linked to a common factor that differentiates them; and in this case – what else is it – if not the skin color? Since the rate at which Vitamin D is synthesized is related to the color of the skin, and Vitamin D is important for the normal development of bones, brain, lungs, immune system, and various other organ systems and that nearly every tissue in the human body possesses vitamin D receptors, as Scientists are now finding out – could it be that these health disparities between Blacks and Whites in the northern hemisphere lie in Vitamin D deficiencies that are higher in blacks? Could the FDA’s one size fits all for all seasons mentality be putting us at risk especially those with dark skin? Study after study shows the fundamental role vitamin D plays in disease and health that vitamin D deficiency is responsible for many diseases and that the darker skin you have the more Vitamin D deficient you are. 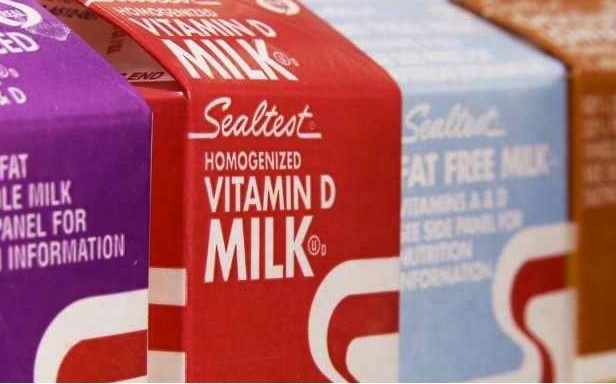 Could the FDA be putting those kids with darker skin at a greater risk by giving them a false hope that they are getting all the vitamin D they need as a supplement from the milk labeled Vitamin D fortified – with this one size fits all for all seasons mentality? While in reality – science has shown that this one size given by FDA is too small for those of African descent, and that the vitamin D from the sun received in summer is not the same amount received in winter. Cutaneous cholecalciferol synthesis has not been considered in making recommendations for vitamin D intake. 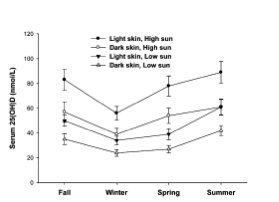 Our objective was to model the effects of sun exposure, vitamin D intake, and skin reflectance (pigmentation) on serum 25-hydroxyvitamin D (25[OH]D) in young adults with a wide range of skin reflectance and sun exposure. Note: Vitamin D for Dark Skin, High Sun in Summer is equal to that of Light Skin, Low Sun. If a doctor advised you that the summer clothes you wear when it is 100 F degrees are also good in the middle of winter when it is 0 (zero) F degrees to keep warm, would you take that advice! But, isn’t it the same thing when FDA recommends 400iu of Vitamin D as a supplement in the middle of summer when Vitamin D from the UV light is at its climax and also recommends the same 400iu of Vitamin D as a supplement in winter when one may be getting 0 (Zero) Vitamin D from the sun. It sure gives the word “Supplement” a new meaning! So why should FDA’s recommendation of taking the same level of Vitamin D supplement all year round make sense, but not wearing summer clothes in winter to keep warm? Is it then surprising when on Feb. 22nd, 2012, Johns Hopkins Children’s Center Sends out a Memo to Pediatricians: “Screen All Kids for Vitamin D Deficiency, Test Those at High Risk“ – namely among others – to test those with darker skin because darker skin synthesizes less vitamin D from sun exposure than lighter skin? Shouldn’t this memo have gone directly to “All The Parents with children at High Risk” through the media – telling them the dangers of not testing for Vitamin D deficiency, just like warnings and encouragements of taking shots for seasonal flu? The current recommendation for vitamin D intake for adults is 200-400 IUs per day (depending on age) according to The Institute of Medicine, however, many nutrition experts believe adults should get 1,000-2,000 IUs of vitamin D per day for overall health and to help prevent chronic disease. Parents could be overdosing their children with liquid vitamin D, the U.S. Food and Drug Administration warns….. It is important that infants not get more than the recommended daily amount of vitamin D,” says Linda M. Katz, M.D., M.P.H., interim chief medical officer in FDA’s Center for Food Safety and Applied Nutrition. “Parents and caregivers should only use the dropper that comes with the vitamin D supplement purchased.”…. So the FDA recommends the following. There is no evidence of adverse effects with serum 25(OH)D concentrations <140 nmol/L, which require a total vitamin D supply of 250 µg (10000 IU)/d to attain. 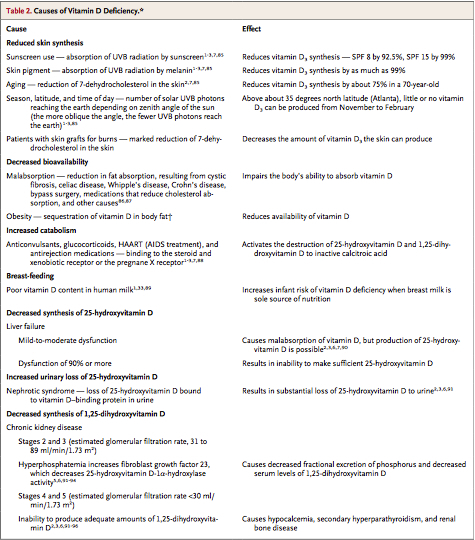 Published cases of vitamin D toxicity with hypercalcemia, for which the 25(OH)D concentration and vitamin D dose are known, all involve intake of ≥1000 µg (40000 IU)/d. Because vitamin D is potentially toxic, intake of >25 µg (1000 IU)/d has been avoided even though the weight of evidence shows that the currently accepted, no observed adverse effect limit of 50 µg (2000 IU)/d is too low by at least 5-fold. AJCN was selected by the Special Libraries Association (SLA) as one of the top 100 most influential journals in Biology and Medicine over the last 100 years. For Vitamin D deficiency treatment – Which Is Better: Vitamin D2 or D3? Course of the rise in serum 25OHD after a single oral dose of 50,000 IU of either cholecalciferol (vitamin D3) or ergocalciferol (vitamin D2) to two groups of 10 normal men each. Error bars are 1 sem. The zero-change line incorporates a correction for the seasonal rise in 25OHD occurring at the time this study was performed. (To convert from nmol/liter to ng/ml, multiply by 0.4.) [Copyright Robert P. Heaney, 2004. *Permission of use granted.] Credits to Creighton University (L.A.G.A., R.P.H. ), Omaha, Nebraska 68131; and Medical University of South Carolina (B.W.H. ), Charleston, South Carolina 29425. In conclusion, ergocalciferol (vitamin D2) and cholecalciferol (vitamin D3) are not bioequivalent and should not be considered interchangeable. Health professionals should encourage use of cholecalciferol over ergocalciferol in all patients without severe renal failure, either as a general supplement or as a treatment for vitamin D deficiency. The investigators concluded that ergocalciferol potency is less than 30% of that of cholecalciferol and that it has a markedly shorter duration of action. “Vitamin D is the only vitamin that can be both acquired through food and made by the body itself. Although vitamin D can be absorbed through foods rich in animal fat , such as milk, cheese, fish, and meat, this absorption constitutes only about 10 percent of what the body needs in a single day. The remaining 90 percent is created by the body. Ultraviolet radiation from the sun converts 7-dihydrocholesterol in the skin to vitamin D 3 . This is then converted to the hormone calcitriol (the active form of vitamin D) in the kidney. Calcitriol allows absorption of calcium and phosphorus in the gut, primarily in the small intestine, and maintains the body’s balance of calcium and phosphate through the kidney and bone. **Vitamin D is very important to the body. Lack of this nutrient can greatly affect the general health. The main function of this nutrient is the healthy growth of bones, and it normally helps calcium to be absorbed into the system. Calcium, of course, helps in the development of bones. 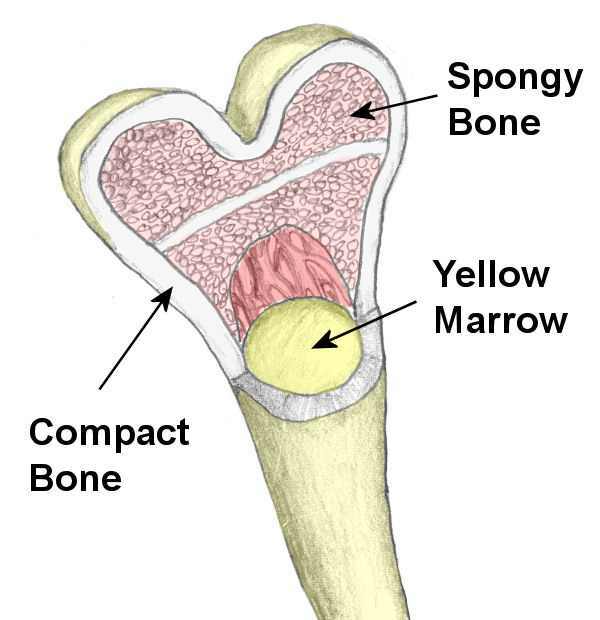 If you can’t expect a factory with broken machinery to produce at its full capacity, how on earth do you expect an unhealthy bone to produce healthy bone-marrow that will effectively help in fighting infections and to aid in the immune system! Johns Hopkins Children Center’s states among other diseases that: Vitamin D deficiency affects multiple organs and functions, including bone growth and density, metabolism, heart and immunity. “Although the overall racial disparity in cancer death rates is decreasing, in 2007, the death rate for all cancers combined continued to be 32% higher in African American men and 16% higher in African American women than in white men and women, respectively. Similarly, African Americans bear a disproportionately high burden from other diseases. What I want you to note in the above conclusion are these words: “ African Americans/Blacks living in the United States”. Now, as I hope you are all aware, the only difference between whites and blacks or people of African decent is the skin color (i.e. All people of African origin, though technically all human races originated in Africa even those we call whites, here I am referring specifically those still with melanin in their skin as blacks [some call it “natural sun tan”]). Which brings me to the very mystery I want us to ponder upon that is: “Why the Disparate between the same human race only differentiable by the sun tan”! 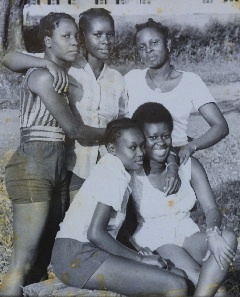 Looking at the ancient times! From time immemorial man has always believed that the planets have an effect on out lives, even today, you not only hear but astrology has its section in most of the major news papers today. Some people’s day can’t start off until they learn of what the heavens hold for them that day. In short, what is your horoscope? You have heard these words time and time again: “There must be a full moon out there” in an attempt to explain weird happenings at night. However, all said and done, there was nothing that came close to “Apollo”, when it came to the boss in charge of the universe. 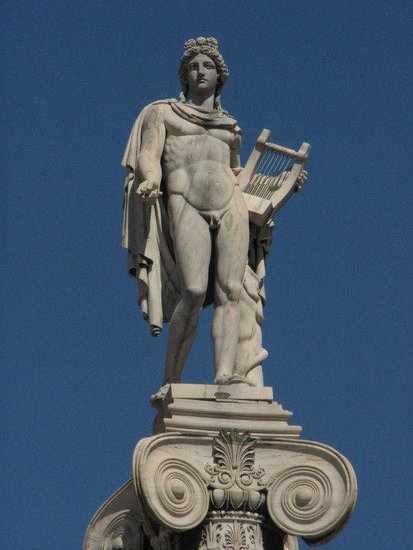 Apollo, the Sun god who brings life-giving heat and light to Earth! Ooohhh Apollo, give us more life, forgive us! !, the Greeks would cry out to their god. Did these ancient people know anything about photosynthesis or Vitamin D? Isn’t an irony that that which causes infliction of diseases, is also the same thing that that prevents them at the same time! The sun causes some skin cancers, but also prevents rickets at the same time. In 1920s the link between rickets and vitamin D was discovered, vitamin d supplements were added to the children’s food and rickets became history in developed countries. Wait a minute, did I say rickets disappeared from the developed world? Yep, Sorry! Consultant orthopaedic surgeon Prof Nicholas Clarke checked more than 200 of the city’s children for bone problems caused by a lack of vitamin D. He was astonished by the results, which, he said, were “very reminiscent of 17th Century England”. 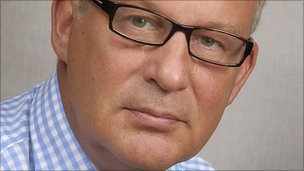 Prof Clarke said vitamin D supplements should be more widely adopted to halt the rise in cases. What is hard for me to comprehend is that we now have vitamin D deficiency linked to all sorts of cancer, depression, obesity, low immunity, colds and flue, asthma, osteoporosis and the list goes on. 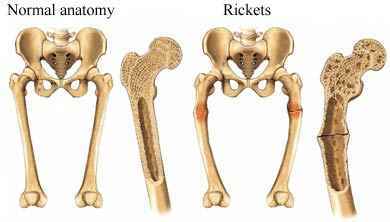 There is a lot to learn from Dr. Albert Fuchs’ article, Rattled by Rickets Resurgence, written just over a year ago in January 2011. In this article, this Beverly Hills or Hollywood internal medicine doctor, sounds upset and arrogant as he lectures the British medical doctors as if they are his lazy students turning their home work late. And he goes on to say:- “In the 1920s when vitamin D deficiency was found to cause rickets did they have all English children sunbathe every day? No. They recommended supplementing all children’s diet with foods very high in vitamin D. This spawned countless stories of English kids being forced by their nannies to ingest cod liver oil, and it banished rickets from England for over two generations” ( may be Dr. Fuchs has forgotten that days have changed, he might want to edit that word nannies and replace it with mothers, otherwise I see his point). Only Dr. Fuchs could conclude it this way to his former master as if adding pain to injury:- “Although the US is farther south than England and so gets more direct sunlight, we take another measure to prevent rickets – we add vitamin D to our milk. The English amassed a global empire without a single Brit ever getting a suntan. They would do well to remember the benefits of vitamin D supplementation”. Does equal in my eyes get translated into unequal by my body? Dr. Fuchs is a typical example of how the medical industry functions in the West. Case in point: “Although the US is farther south than England and so gets more direct sunlight, we take another measure to prevent rickets – we add vitamin D to our milk.” As I have already stated above, the measures that FDA took exclude those with dark skin. I want you to look at it in a different way that is practical and very much works the same way Vitamin D supplement does in milk. You and I have cars and have a trip of 325 ml journey through a desert with no gas station along the way. You have a high powered V 8 Benz sports car that goes 10 mls per gal, I have a toyota collora V 4 that goes 30 mls per gal. Your car has a large gas tank of 20 gals capacity while mine can only hold 10 gallons. I fill up my car and you fill up yours. Since I have calculated that a tank of 10 gal with each gal taking me 30 mls, therefore 10 gals will take me 10×30=300mls. Which means I will need about 1 more gallon to make it. My friends will go 20×10=200mls. I take more precaution by getting a five gallon container filled with gas (as a supplement for the other remaining 25mls). I also give my friend a five gallon container full of gas. We say bye to each other and promise to meet at the destination 325mls away. People with melanin are those riding high in that V 8 Benz telling everyone how fast and tough their car is and how it can with stand the heat of the desert by design! I hope by now you get the picture of who will be at the finishing line at the end of the day. I almost learnt that false hope can be worse than no hope at all, the hard way, when my son was prescribed “Advair” for his mild Asthma. Upon some simple search on the internet, I found out that during the drug experiment trials the death rate of blacks was about five times that of whites. In fact more died on that so called medicine than those who were not, that they terminated the trials on blacks. When it was put on the market, law suites started. FDA then demanded that the drug makers to put a black box label “this drug contains long-acting beta 2-adrenergic agonists (“LABA”) may increase one’s risk of severe asthma episodes and death especially in African americans and should only be given as the last resort” before they could allow it on the market again. This issue of Vitamin D and the Sun on our skin takes me back to the Namasagali days with Father Grimes. However, not in the same way as you might think. It is about Photography. Everyone commended me on my photographs and then lined up to get their portrait taken with smiles all over. It was fun at first, but then became a work when I couldn’t have any free time to do anything else. You should over expose by at least a full stop (i.e. aperture) or reduce your shutter speed by one step otherwise the subject will be too dark”. Then I found out that with a flash, use the standard guide when taking a white next to a black person at night, you will get a wonderful picture of the white person and for the black person, you will only see a great Sclera (the white of the eye), the rest will be left to your imagination. Until the digital camera technology came around just yesterday, that little old but important lesson still worked fine just as it did then. My personal experience, first hand. After my son’s blood test showed that he Vitamin D insufficient, he asked me: “Dad, how is your Vitamin D, is it good?”. I took the test. The results were shocking. I decided to take action – Spread the word. I sent the following e-mail to some friends. I take this initiative of spreading the awareness to you who have this melanin in your skin and live in the northern hemisphere where sun light is not strong enough to give you the Vitamin D your body needs, to take blood test for Vitamin D. And if you have children, read Johns Hopkins Children’s Center Memo to Pediatricians: Screen All Kids for Vitamin D Deficiency, Test Those at High Risk. I honestly didn’t feel like writing this one, but then again, I thought that if in one way or another it gets one off their butts and get their blood tested, it will have been worth it. Well, a few days a ago as I told, I was going to get Vitamin D blood test after my son’s results and the fact that he asked me “Dad, how about yours, is it good?”. I did it and the following day (yesterday) got the results. First, I have to admit that I suspected that I could be low on Vit. D since the last time I checked I was still called Black and studies showed that black people have low vitamin D in the northern hemisphere. Believe it or not, nobody would have convinced me that I have 10 ng/mL, because I am outside everyday! But then again, at least that explains why my teeth were falling out. P/S, I also got Lipid Panel test (ie. the cholesterol ). Results: Bad! Yet for over 4 years I haven’t tasted any meat, except chicken with no skin and after I have removed any visible fat do I grill it or cook it and I don’t fry my food. No fast food or junk food. No butter or cooking oil in my house except some olive oil in a small bottle that lasts a year. Almost a half way vegetarian (which again was compounding to less Vitamin D intake). In short, I suspect that one may not even be over weight, but due to vitamin D deficiency, you might develop high (bad) cholesterol as some studies elude to. What you don’t know can kill you. Those who have ears let them hear. 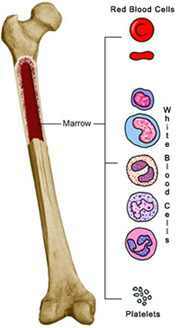 I’ll keep you posted on this issue in about 5 weeks after my next blood test. As study after study shows the fundamental role vitamin D plays in disease and health, vitamin D deficiency — which often develops insidiously in childhood — should be on every parent’s and pediatrician’s radar, say physicians from the Johns Hopkins Children’s Center. …. those with darker skin because darker skin synthesizes less vitamin D from sun exposure than lighter skin . Harvard research on Vitamin D deficiency. credits to Michael F. Holick, M.D., Ph.D.
Vitamin D status also influences insulin secretion. Vitamin D deficiency results in a decreased insulin response to glucose, which is corrected by 1,25-(OH)2D (152). 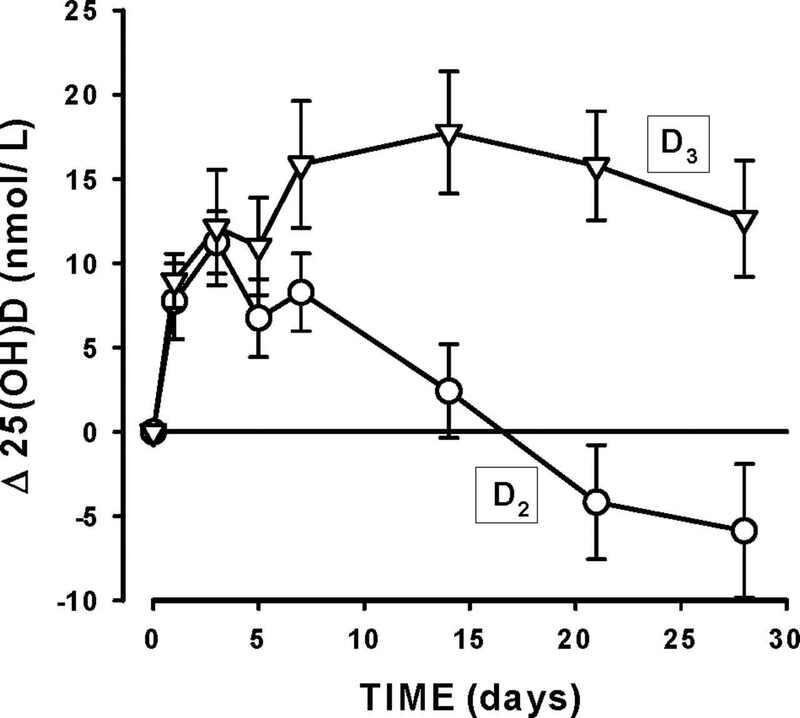 Treatment of a vitamin D-deficient patient with vitamin D improved glucose tolerance and β-cell function (153). Inadequate vitamin D status has been implicated as a factor contributing to syndrome X, i.e., insulin resistance, obesity, hypertension, glucose intolerance, and dyslipidemia, but response to vitamin D treatment has been variable (154). 1 From the Department of Laboratory Medicine and Pathobiology, University of Toronto, and Pathology and Laboratory Medicine, Mount Sinai Hospital, Toronto. There are nonclassical and less well substantiated reasons to consider increasing vitamin D nutrition. As discussed above, the biochemical criterion of PTH suppression suggests that 25(OH)D concentrations >100 nmol/L are desirable in elderly subjects (12, 15). Epidemiologic studies show that higher serum 25(OH)D concentrations or environmental ultraviolet light exposure are associated with lower rates of breast, ovarian, prostate, and colorectal cancers (93–100). There is impressive circumstantial evidence that multiple sclerosis is more prevalent in populations having lower concentrations of vitamin D or ultraviolet exposure (98, 101), and there are suggestions that vitamin D intake ranging from 32.5 to 95 µg (1300 to 3800 IU)/d helps prevent the disease (101). 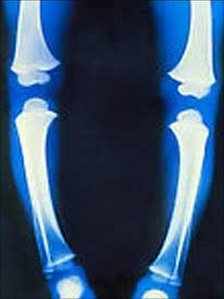 The probability that established osteoarthritis will progress to a more severe stage is reduced with better vitamin D nutritional status, based both on serum 25(OH)D concentrations and diet history. On the basis of these results, McAlindon et al (102) recommended that serum 25(OH)D should exceed 75 nmol/L in persons with osteoarthritis of the knee. The prevalence of hypertension in a population increases with distance north or south of the equator (103), and it was reported recently that hypertension becomes less severe in subjects whose 25(OH)D concentrations are increased to >100 nmol/L through ultraviolet exposure (38). Vitamin D deficiency impairs immune function in animals (104), and in children there is a strong association between pneumonia and nutritional rickets (105). Since the rate at which Vitamin D is synthesized is related to the color of the skin, and Vitamin D is important for the normal development of bones, brain, lungs, immune system, and various other organ systems and that nearly every tissue in the human body possesses vitamin D receptors, as Scientists are now finding out – could it be that there was a time when people with very dark skin roamed the plains and mountains of northern hemisphere as far as Alaska, but due to their skin’s inability to synthesize Vitamin D during some long winters, they just became extinct in those areas that were very far north of the equator? Remember, you can find ancient black people all around the world along the equator, from the Congo Forest to Papua New Guinea to the northern part of Peru in S. America, which is closer to the equator. But how come not too far north of the equator ? I think, Dark Skinned people just got wiped out from northern hemisphere by diseases their bodies couldn’t fight off due to weakened immunities during long winters because their dark skin could not synthesize Vitamin D without very strong sunshine and UV found along the equator. –February 13, 2012 — A large cross-sectional study of adults suggests a link between low vitamin D levels and depressive symptoms. –Harvard research on Vitamin D deficiency.